Concarneau is the third biggest town in Finistère and fourth biggest fishing port in France.. 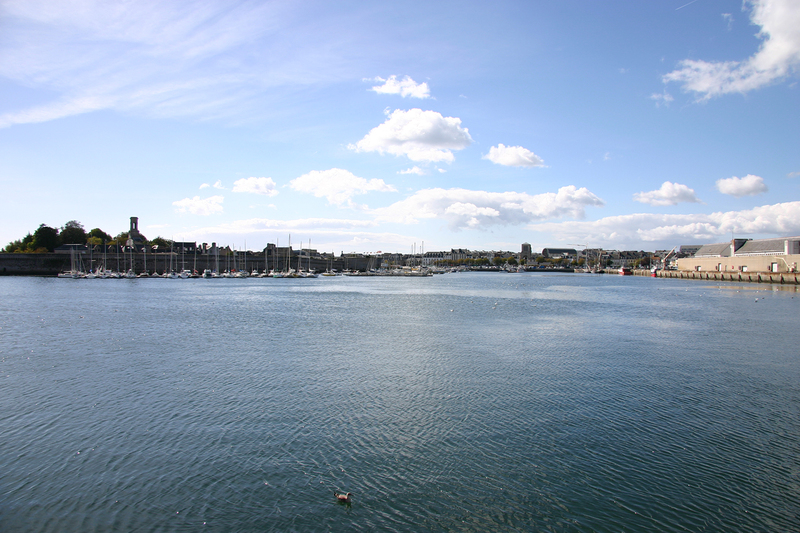 The maritime citadel is in the heart of the city and is best discovered from the sea. The town was built around the walled city, originally a small island inhabited by fishermen, later fortified in the 15th and 16th centuries. Sébastien Le Prestre, Marquis of Vauban, finished the work in the 17th century. Sardine fishing slowly transformed the city, with factories and canneries springing up everywhere in the commune. At the beginning of the 19th century about 300 sailing boats hunted down this precious silver fish. Sadly the fish grew rare and there was a famine. In 1905, the “fête des Filets bleus” (festival of the blue nets) was created to help families in need. Numerous artists took part. Today the “Filets bleus” festival is an institution. Each year, the tradition is perpetuated. In 2005, for the centenary, the festival lasted a whole week. Each evening, famous musicians played in front of the walled city. A tradition was established in 1905, that each artist donated a piece of art, as a subscription to the “Filets bleu”, a tradition that still continues today. The coat of arms of Concarneau – the three axes symbolise the defences of the walled city. As early as the end of the 18th century, Concarneau the ideal resting and relaxation place for intellectuals. In 1847, Gustave Flaubert and Maxime Du Champs set off on a journey through Brittany and stayed a few days at the Hotel des Grands Voyageurs. Our hotel was built in 1787 and was popular with famous people, as it was state of the art, with running water. At that time, a big sign on the front of the hotel read “lodging on foot or by horse”. Cars and horses could access the hotel through the porch in the gable end. In 1870, George Pouchet , an assistant naturalist from the National History Museum, came to shelter in Concarneau. 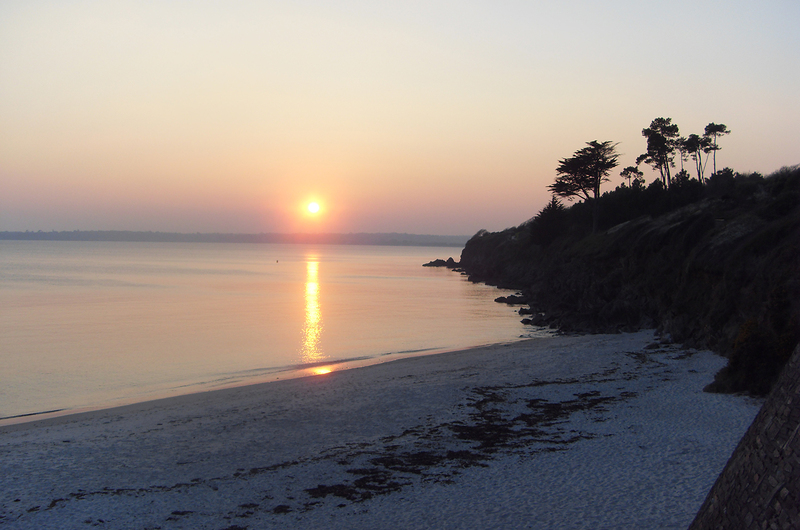 The letters he sent to his Parisian friends encouraged them to come and stay in Concarneau. From then on, numerous scientists came to stay in the town to search for the cause of the disappearance of sardines. Today, the “Marinariaum” is still a reference in the marine biology sphere.At the end of the 19th century, thanks to the scientists, who marvelled about Concarneau and its pleasant climate in all the Parisian salons, artists flocked to the city: Guillou, Maxime Maufra, Theophilus Deyrolle… Concarneau became the place to be and even attracted foreign visitors. A number of American painters came to stay. The countryside around the city also attracted people. The Russian princess Zénaïde Narychkine, “Countess of Chauveau” and also widow of Youssoupoff, bought the manor of Kériolet and transformed it into a castle, today called Château de Kériolet . This marks the beginning of tourism in Concarneau. Today, Concarneau is the 4th biggest fishing port in France; not only due to the number of fishermen and boats, but also due to the volume and excellence of the catches. Concarneau is also reputed for its naval constructions. Numerous sailing boats, tuna vessels and a variety of other boats have been built in Concarneau. The sea is part of its tradition and heritage. Concarneau is happy to be named “the blue town”. The fishing museum: 1500m² of discoveries in an exceptional building in the heart of the walled city. 100m from the hotel. A guided tour of the fish market, to discover and understand the fishing world. 200m from the hotel. The Marinarium: a marine biology laboratory, where you can learn about the ocean’s secrets. 200m from the hotel. 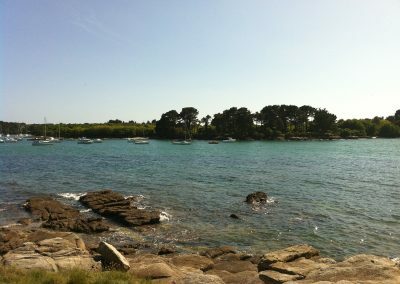 The sailing centre “les Glénans” is based at Concarneau and offers a number of courses for beginners or advanced sailors. 200m from the hotel. Diving centres offering introduction courses or further instruction for all. 200m from the hotel. The “Boite à Bill” is a centre specialising in navigational training certificates and proficiency. Opposite the hotel. 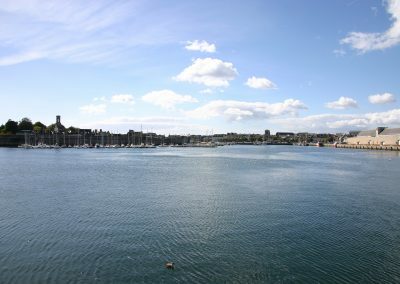 The marina has 764 berths (pontoons and moorings), 394 of which are close to the town centre at the foot of the walled city. 300m from the hotel. 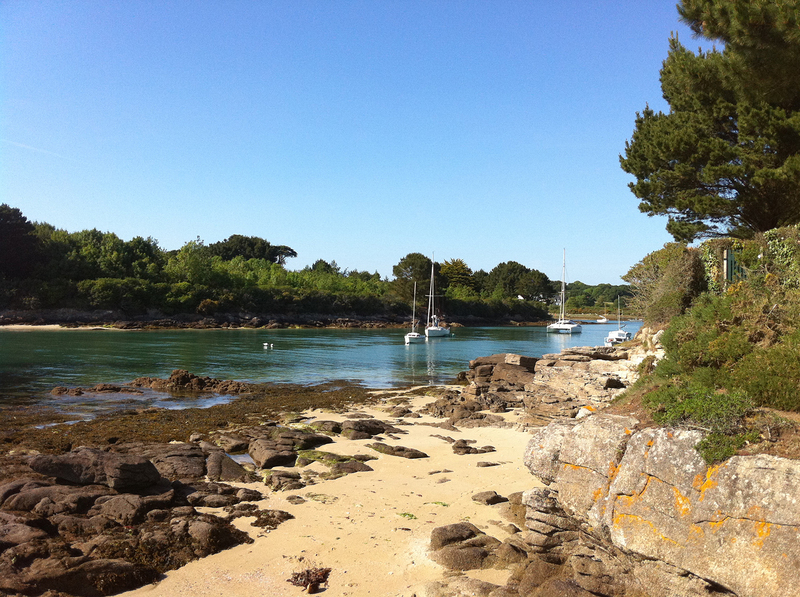 Fine sandy beaches: le Cabellou, les Sables Blancs… 300m from the hotel. 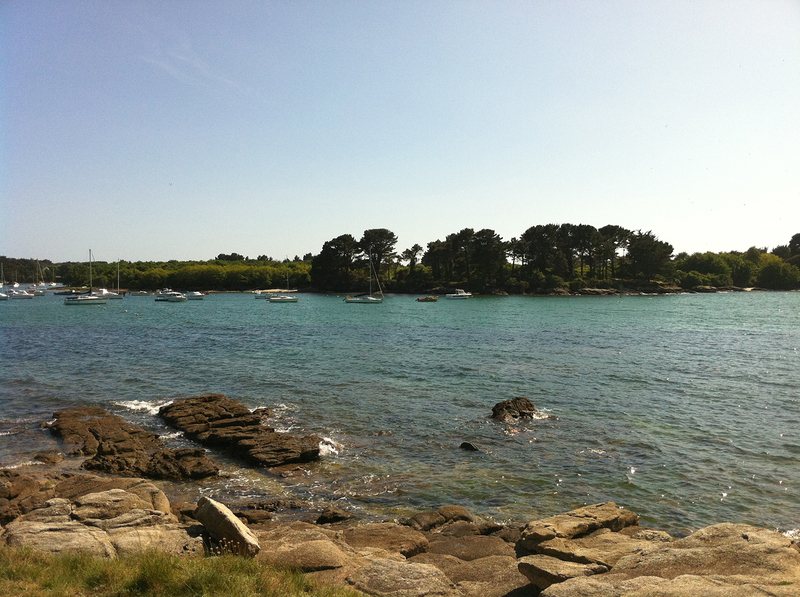 Concarneau is ideally situated just 20km from the Glénan islands , and a few minutes from the mouth of the Odet River. Départ des vedettes. Maritime companies offer boat trips based on various themes, day trips and stopovers at the Glénan islands. The magical Glénan archipelago is a chain of islands. The five main islands enclose a lagoon with crystal clear waters. The departure point of the ferries is just 200m from the hotel. Concarneau is the third biggest town in Finistère. It is a pleasant and historical town, full of character, with a population of 20 000 inhabitants. It has a rich variety of local shops and craftsmen/women. You will find a number of shops in the walled city, and the town centre. Take your time and wander through the little streets of the town, where you will discover interesting shops and delicious restaurants. Two mornings a week, on Mondays and Fridays, there is a market opposite the hotel. The countryside around the town is a haven of peace. 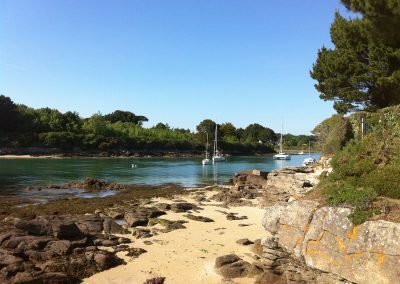 Located on the GR34 footpath, Concarneau offers numerous walks along the coast or in the countryside (17km), either on foot or on horseback. The château de Kériolet is just 5min from the town centre. Discovering the town and part of the coast during a ride on the little train will amuse both young and old alike. The train departs opposite the hotel.